Seward’s all time coaching wins leader has another assistant coaching job. After serving as an assistant two years at Hutchinson, Dave Brown joins legendary coach Bob Chipman at Washburn in Topeka. Chipman has coached the Ichabods for 30 years with over 650 career wins. Brown coached Seward from 1997-2007 won 253 games at Seward. He led the Saints to Jayhawk West titles in 2002 and 1998 when the Saints went 35-3 and placed third at the NJCAA Tournament. 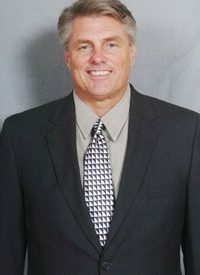 Brown was Dale Reed’s assistant four years before he was their head coach. Brown resigned at Seward after the 2007 season. In addition to Brown’s two conference titles, his teams finished second five times during his 11 years in Liberal.